DNAJC10 monoclonal antibody (M01), clone 3C4. Western Blot analysis of DNAJC10 expression in HeLa ( Cat # L013V1 ). DNAJC10 monoclonal antibody (M01), clone 3C4. Western Blot analysis of DNAJC10 expression in NIH/3T3 ( Cat # L018V1 ). DNAJC10 monoclonal antibody (M01), clone 3C4. Western Blot analysis of DNAJC10 expression in Raw 264.7 ( Cat # L024V1 ). DNAJC10 monoclonal antibody (M01), clone 3C4. Western Blot analysis of DNAJC10 expression in PC-12 ( Cat # L012V1 ). 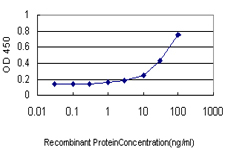 Detection limit for recombinant GST tagged DNAJC10 is approximately 10ng/ml as a capture antibody. 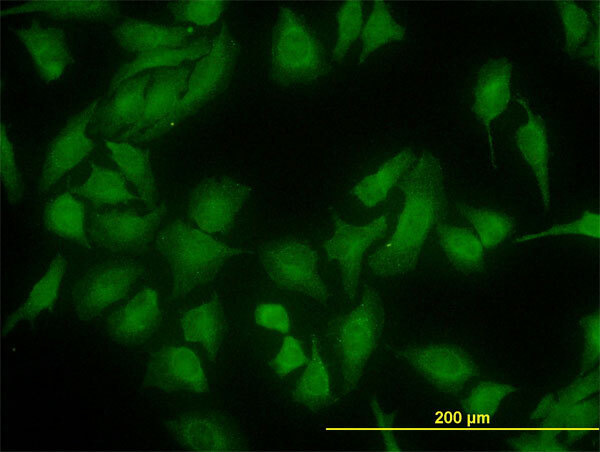 DNAJC10 monoclonal antibody (M02), clone 3A8. Western Blot analysis of DNAJC10 expression in human kidney. DNAJC10 monoclonal antibody (M02), clone 3A8. Western Blot analysis of DNAJC10 expression in NIH/3T3 ( Cat # L018V1 ). DNAJC10 monoclonal antibody (M02), clone 3A8. 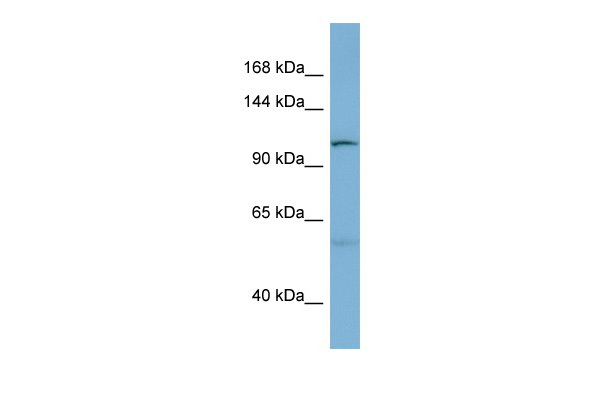 Western Blot analysis of DNAJC10 expression in Raw 264.7 ( Cat # L024V1 ). DNAJC10 monoclonal antibody (M02), clone 3A8. 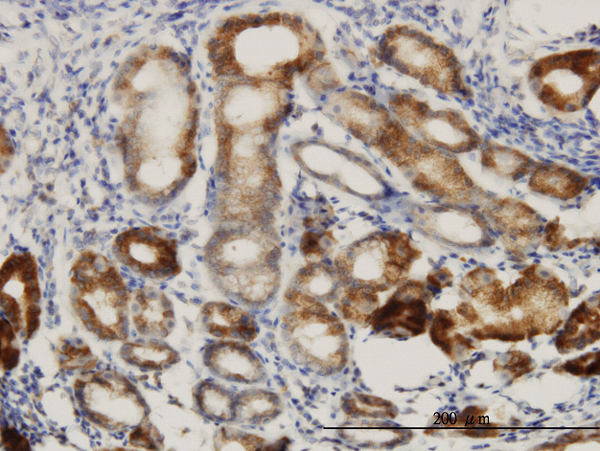 Western Blot analysis of DNAJC10 expression in PC-12 ( Cat # L012V1 ). DNAJC10 monoclonal antibody (M02), clone 3A8. Western Blot analysis of DNAJC10 expression in HeLa ( Cat # L013V1 ).